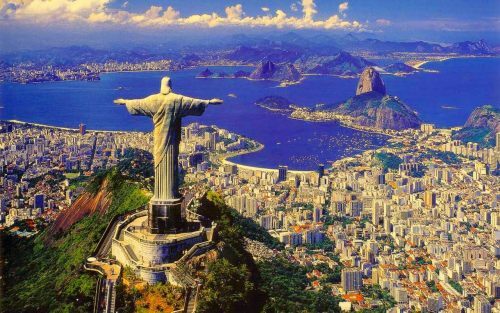 Calgary to Rio de Janeiro or Sao Paulo, Brazil - $703 CAD roundtrip including taxes | new record! 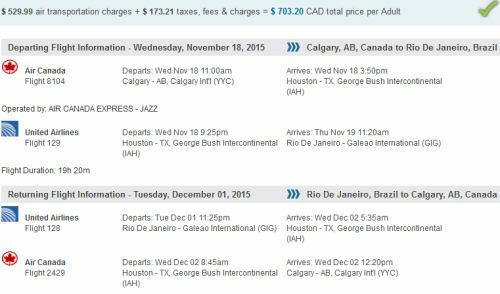 Air Canada and United have dropped the price of their flights from Calgary to Brazil down to $703 CAD roundtrip including taxes. These are the lowest prices I've ever seen from Calgary to Brazil. They are currently about 30-40% below their typical best prices. Departures between September 2015 and early November 2015. Click on the departure date box to open the calendar view. In the bottom left, adjust to your desired trip length. 2. Select your flights in Google Flights, and then click through to the Air Canada website or the United Airlines website or Flight Network (with price drop protection) for booking. Note: Canadians require a visa to visit Brazil. Where to stay in Rio de Janeiro or Sao Paulo ? The following AirBNB links will lead you to some great deals on places to stay in Rio de Janeiro or Sao Paulo for under $70 CAD/night for 2 people. calgary, yyc, flight deals, south america, air canada, united airlines, sao paulo, brazil, gru, rio de janeiro, gig, sao and rio.